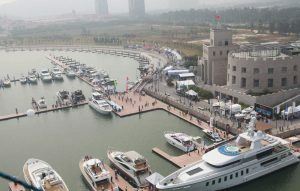 The Artemis yachts with their sleek and powerful lines are very popular in China. These planing yachts were designed by Howard Chen and Guido de Groot for owners who don’t have ocean passages in sight, and who don’t have enough time for an extended time on board their boat. 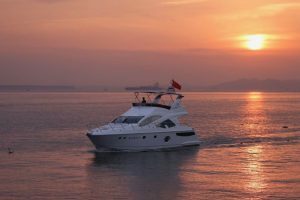 Combining speed, luxury, and the well-known Selene fool-proof construction, this line of yachts is bound for exotic places, and perfect for long weekends and holidays in style. 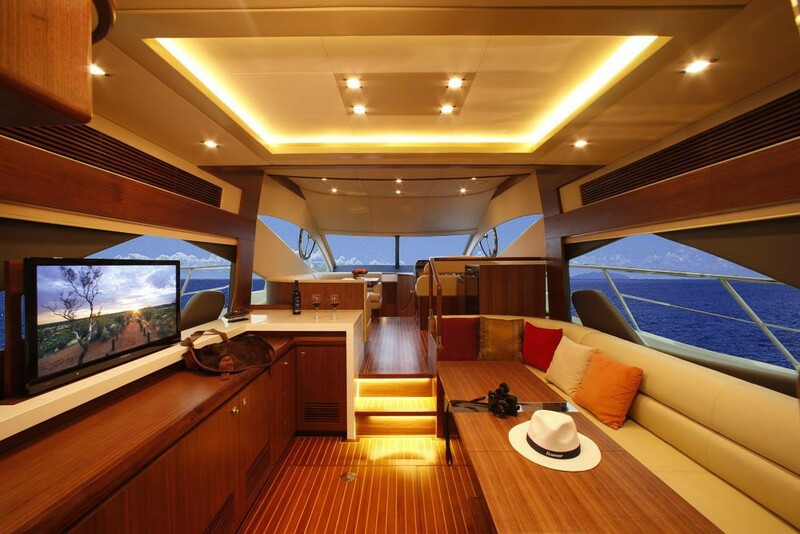 This innovative and stylish line boasts yachts ranging from the Artemis 43 to 86 feet. 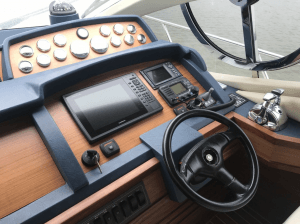 The very first in the Artemis line of motor yachts features an open interior layout with two staterooms: a forward queen sized berth and a midship double berth cabin. Both of the staterooms have their own access to ample heads each with an enclosed shower stall, and there is significant room for a comfortable salon that is accessed from the cockpit by a sliding glass door. The Artemis 48 is built to the high standard of any other Selene Yachts. 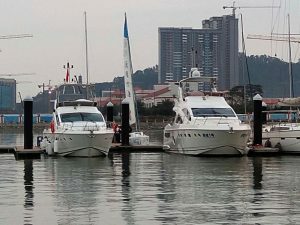 With its twin Yanmar power plant, it takes you in the fast lane, and the boat comes standard with a generator.